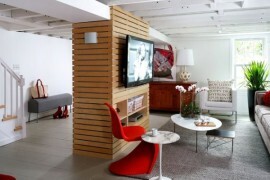 Good design will pay attention to form and function. 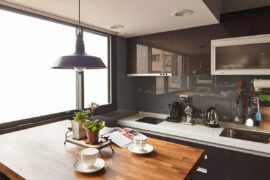 The following new industrial-style designs provide examples of form and function in practice. 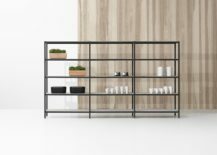 The recently developed rack system from Danish company Vipp adds a new dimension to the brand’s industrial, functional and covetable wares. 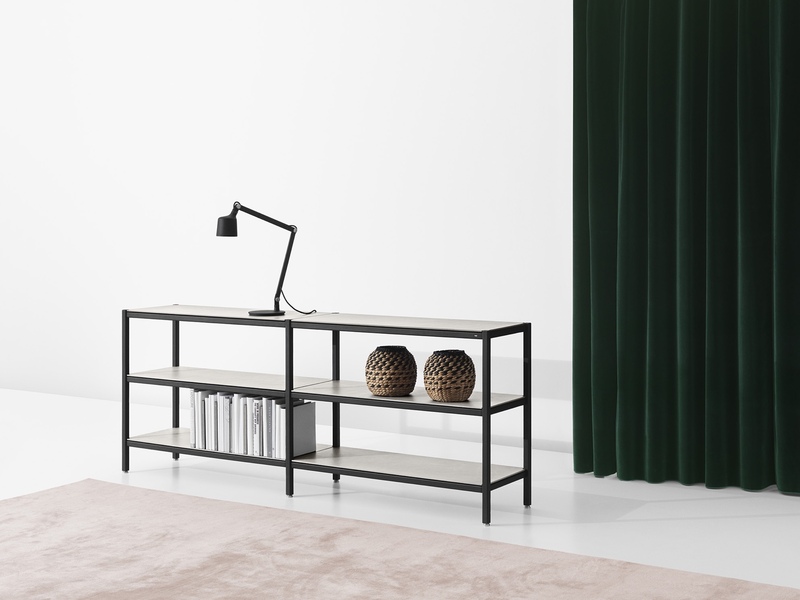 Described as ‘a refined retake on the classic industrial rack that you find in many hobby and storage rooms,’ by Morten Bo Jensen, Chief Designer at Vipp, the rack system is both aesthetically pleasing and versatile. 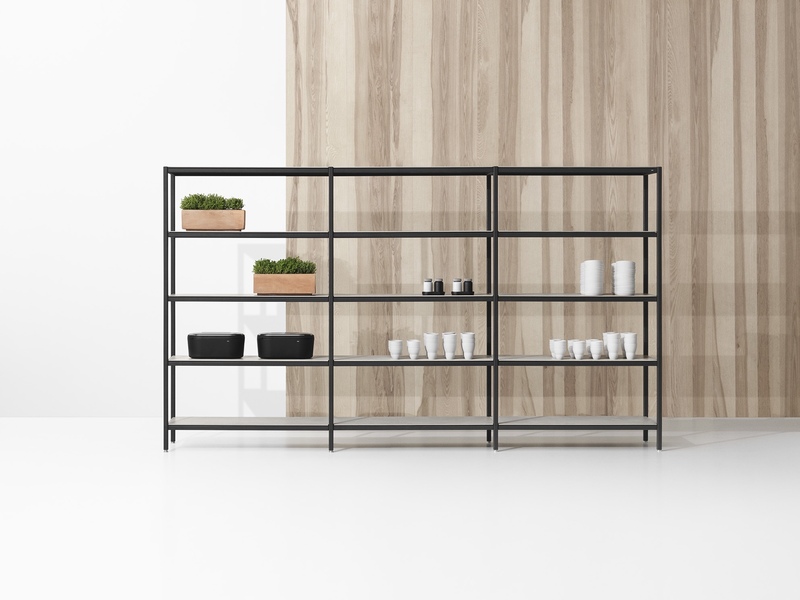 Rack combines Vipp’s quintessential powder-coated steel with ceramic stoneware, creating an expressive form that is light and polished. A modular system, rack is available in four configurations: Vipp473 rack, low; Vipp474 rack extension, low; Vipp475 rack, tall; Vipp476 rack extension, tall. Vipp473 rack, low and Vipp474 rack extension, low. Close-up of the Vipp473 rack, low. Vipp475 rack, tall and Vipp476 rack extension, tall. 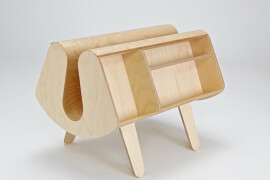 Also new to Vipp’s everyday, functional collection, is the bijou Vipp421 side table. 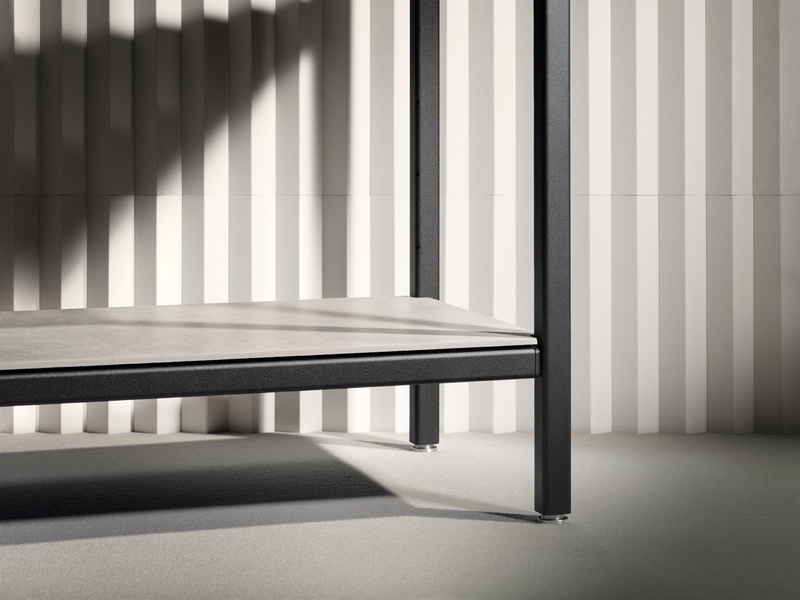 Like the rack system, the side table is made using powder-coated steel and fine ceramic stoneware. 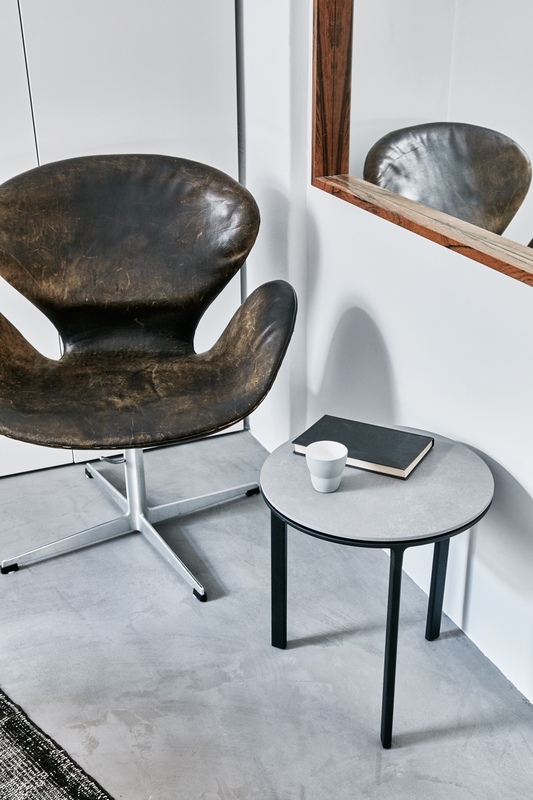 With its quiet industrial aesthetic, the Vipp421 side table will fit anywhere with ease. 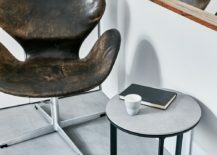 In developing the rack system and side table, Vipp is perhaps signalling its intention to create more furniture pieces—an obvious direction for the brand to take. 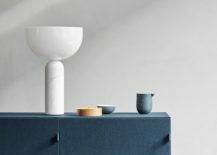 Belgian designer Alain Gilles founded his eponymous studio in 2007, and has since created a portfolio of intelligently designed furnishings and objects. 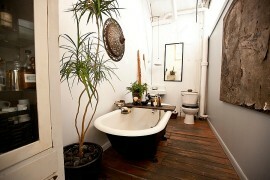 Gilles is an award-winning designer, collaborating with an eclectic range of brands. His newly developed ‘Assemblage’ side tables for Italian brand Bonaldo refine the notion of ‘mass’ in an item of furniture. 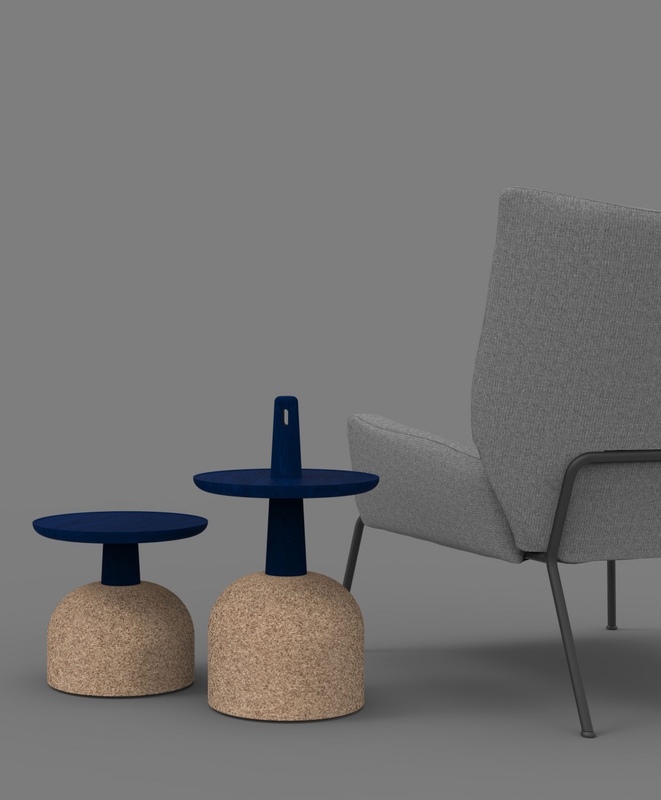 With Assemblage, cork is the material used to provide the table’s obvious mass, ensuring its stability. 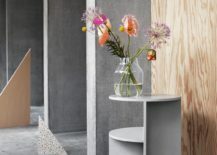 A noble, versatile, organic, reusable and recyclable raw material, cork is exceptionally light and malleable. 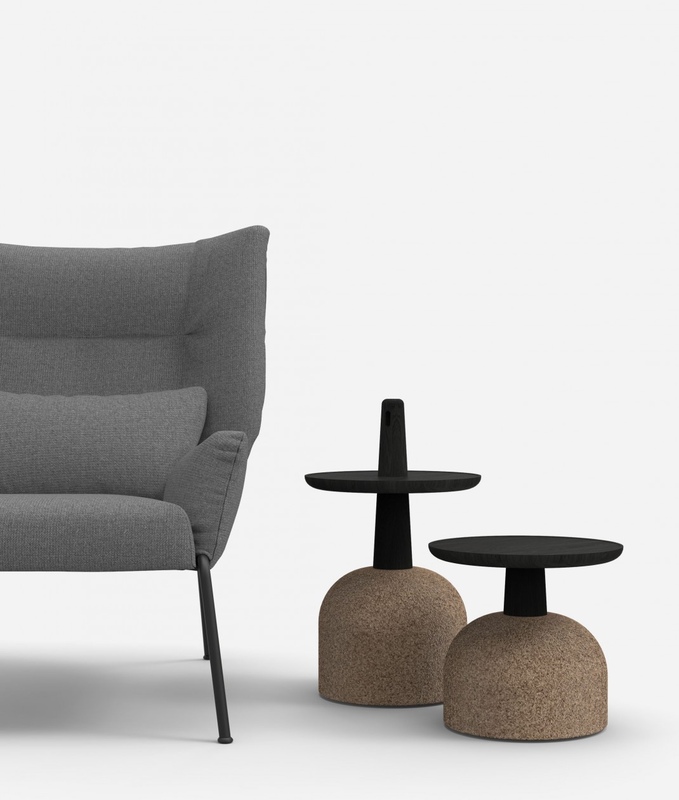 In using cork, Gilles offers a new perspective on a table base, altering the perception of how a table should look and feel. Assemblage side tables with a cork base and stained wood top. 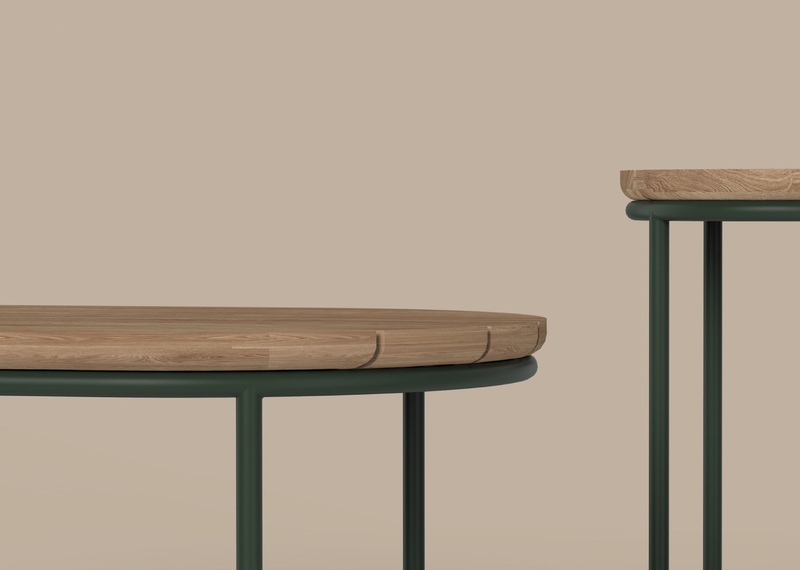 Alain Gilles designed the Contour side tables for Belgian company Vincent Sheppard. 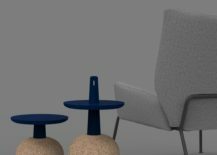 Stripped-down, clean and minimal, these handsome tables have a strong graphic profile, their shape—or ‘contour’—appearing highlighted. Contour tabletops in teak wood with a steel frame. 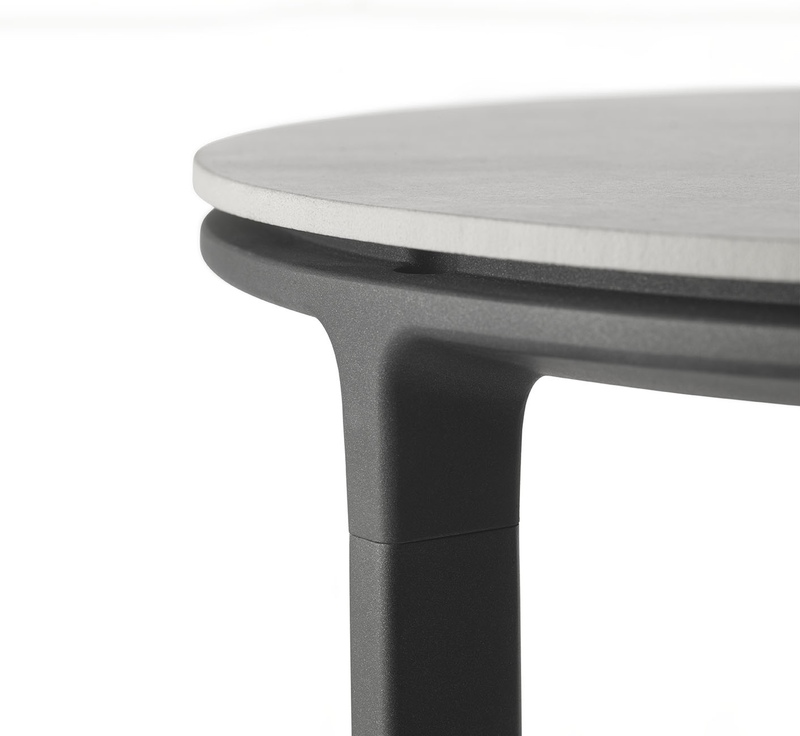 Contour tabletops in glass with a steel frame. 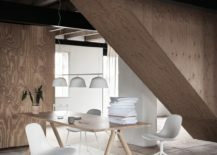 Founded in 2008, multidisciplinary Danish design studio Norm Architects understands the inherent value of good design: at Norm, design is unobtrusive, functional, aesthetic and timeless. 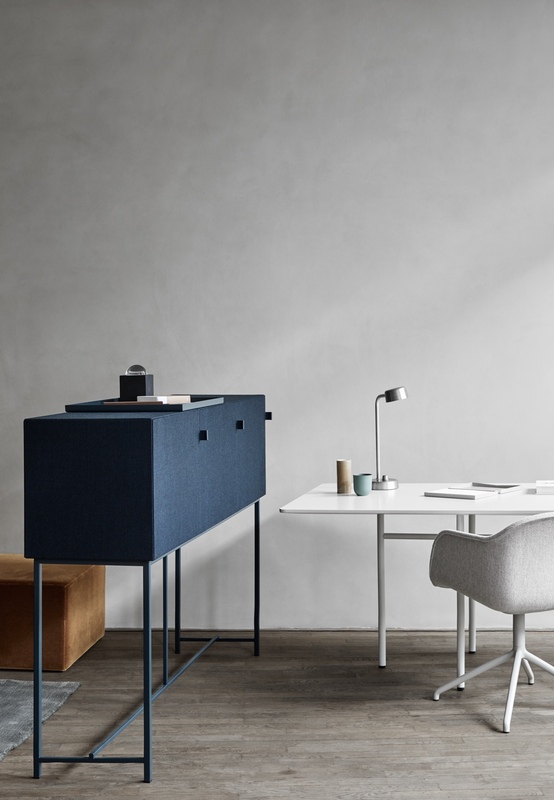 Its new collection of sound-absorbing cabinets for Swedish brand Zilenzio—whose focus is on ‘selling silence’—is both practical and eye-catching. The Tone cabinets are designed to absorb certain sound frequencies, so improving the quality of sound in those spaces where it matters. 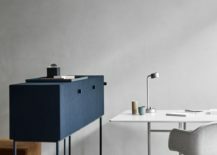 Suited to home and work environments, the Tone cabinets act to dampen sound, aiding focus and concentration. 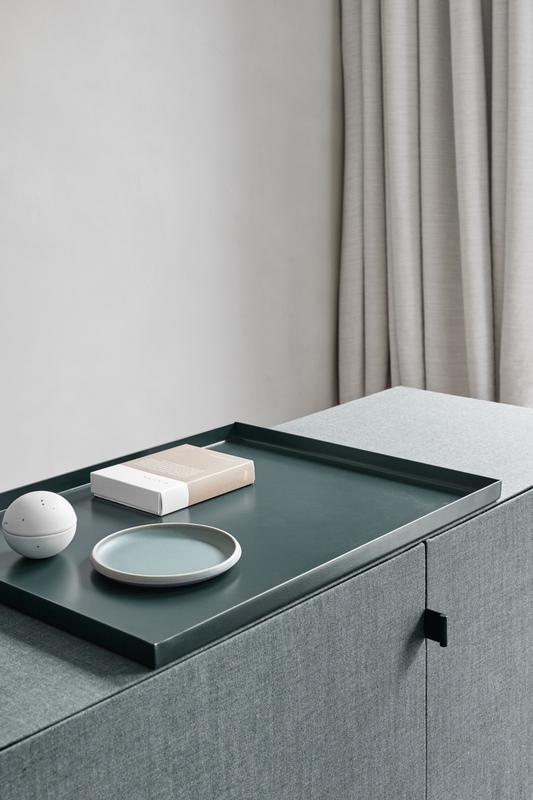 Tone Cabinet by Norm Architects for Zilenzio. 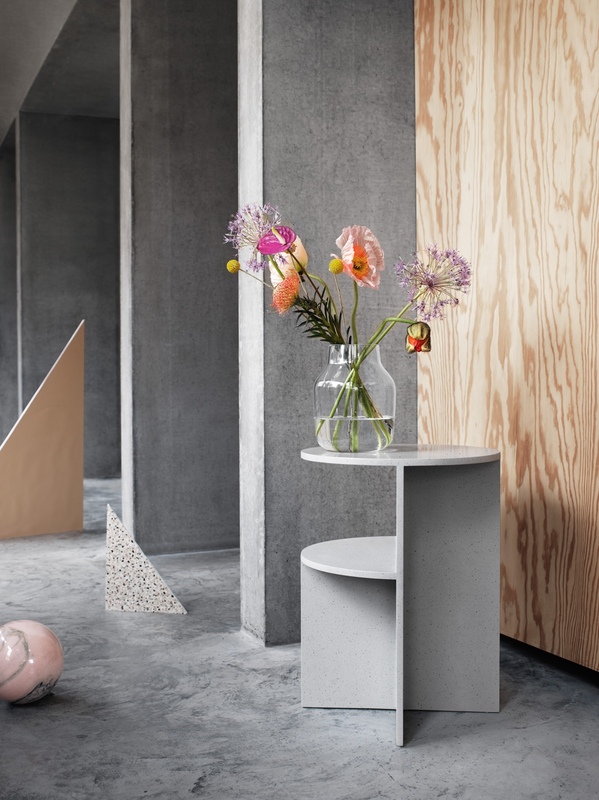 Muuto, a superlative Scandinavian design company, works with leading contemporary designers to create its ‘New Nordic’ range of furniture, lighting and objects. 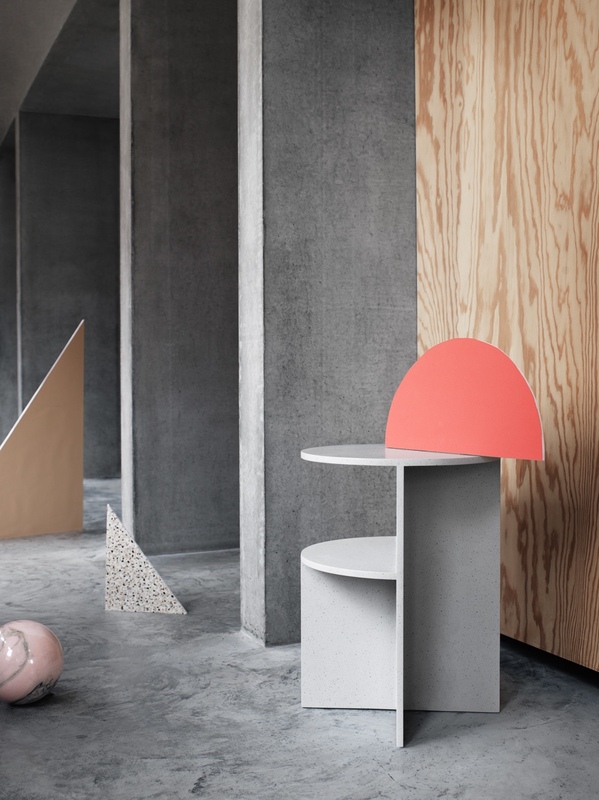 In its first collaboration with MSDS Studio, a Toronto-based design practice, Muuto has recently introduced the new ‘Halves’ side table. An intriguing design concept, Halves is both technically competent and aesthetic. 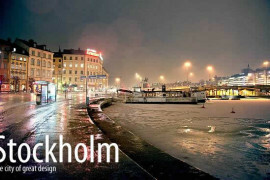 Made using an acrylic stone composite, Halves offers a steady and reliable form, with an entirely uncluttered profile. 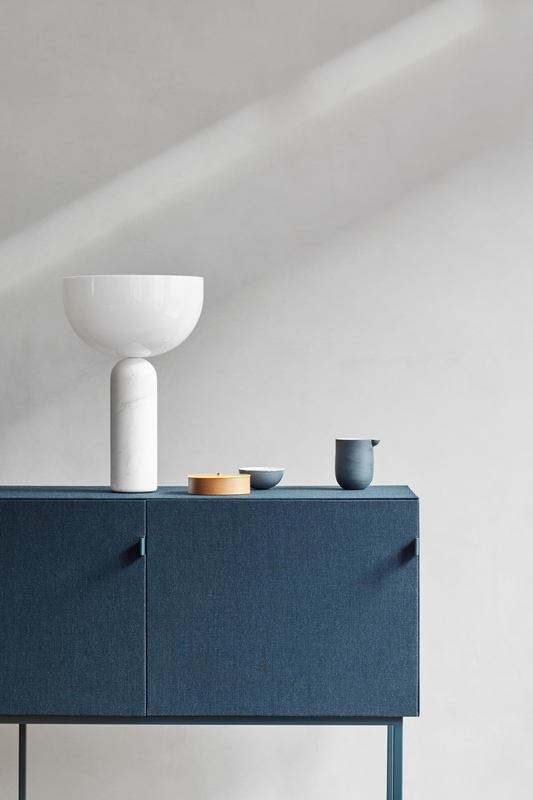 The Halves side table by MSDS Studio for Muuto. 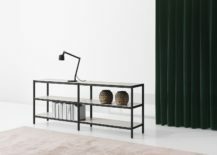 TAF Architects, the Stockholm-based design and architecture studio, has reimagined the archetypal billiard table lamp in a new lighting concept for Muuto. 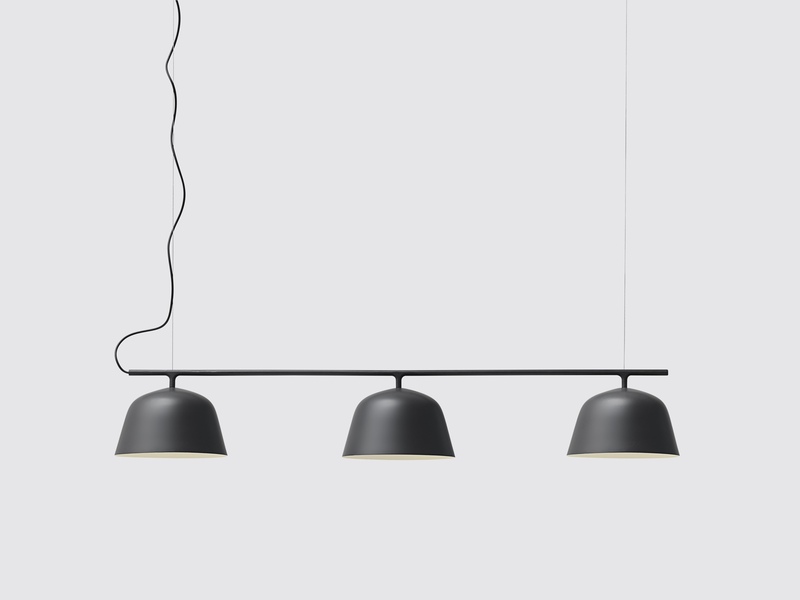 The ‘Ambit Rail’ is made up of three pendants fixed to a tube: the resulting minimal design is striking and elegant. 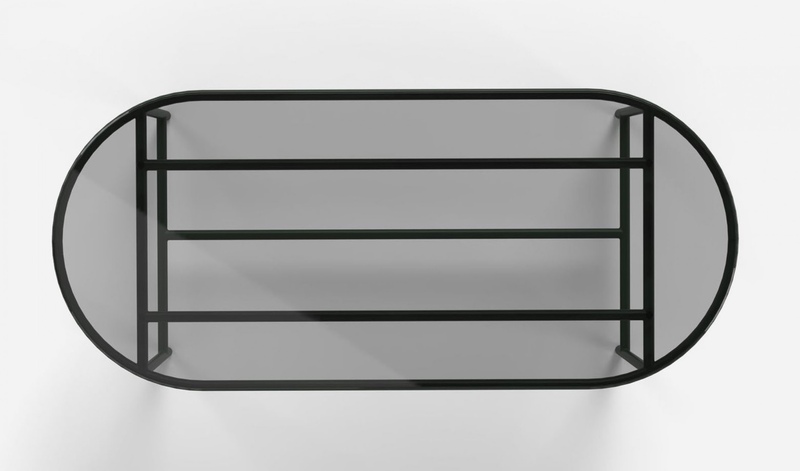 Ambit Rail in black by TAF Architects for Muuto. 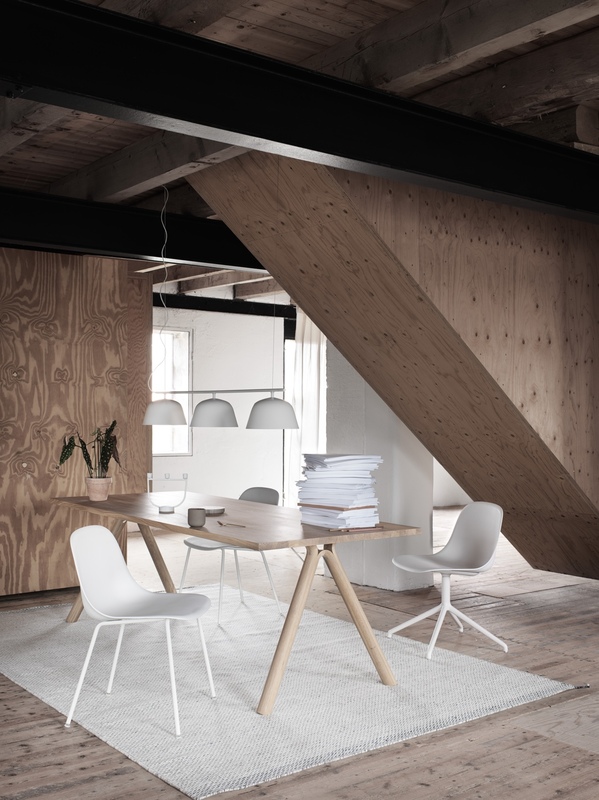 Ambit Rail in white by TAF Architects for Muuto.